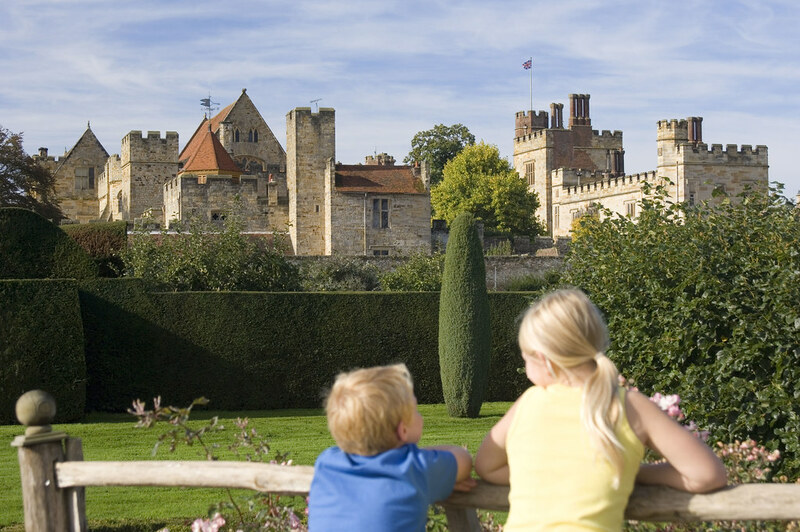 The Tudor Trail runs from Tonbridge Castle to Penshurst Place. 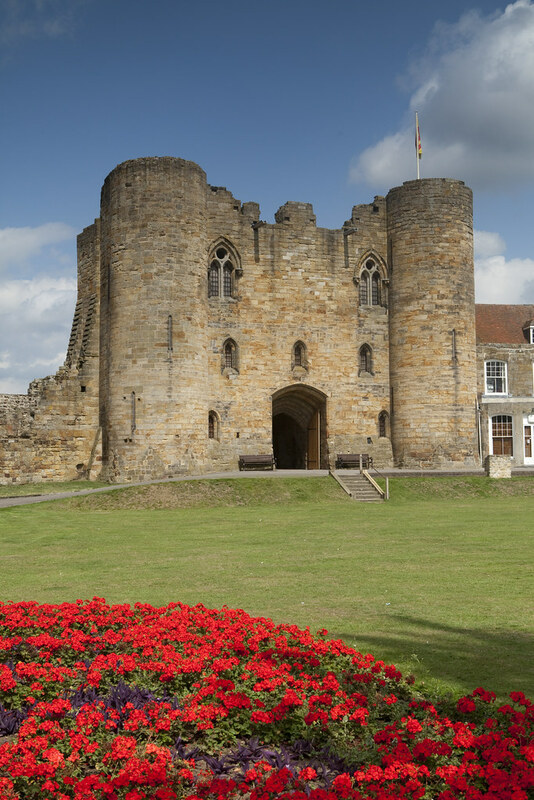 It offers an excellent mostly off-road ride from the heart of Tonbridge alongside the River Medway, out into the countryside to the glorious Penshurst Place. When off road do expect pot holes and small cracks. 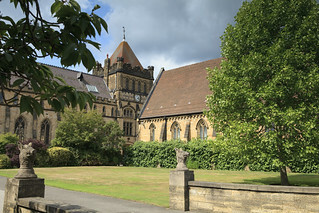 Kings and archbishops, as well as tyrants and heroes have helped write 900 years of English history at Tonbridge Castle. Before setting off on the picturesque ride, a look around the motte-and-bailey and 13th century gatehouse is highly recommended. This wonderful cycle ride takes you past playing fields on the edge of Tonbridge and into Haysden Country Park, running around the edge of Barden Lake with its wide variety of birdlife. Shortly after passing beneath the A21 you enter a delightful secret kingdom of lush broadleaf woodland carpeted with wildflowers in the spring and a delight in autumn as the colours change. The first noticeable climb of the day comes between the bridge over the River Medway and Well Place Farm giving you wide-ranging views of the surrounding countryside and setting you up for a fine descent past two lakes to arrive at Penshurst Place, the finest and most complete example in England of 14th-century domestic architecture – a medieval masterpiece that retains the warmth and character of a much-loved family home. Enjoy a refreshing drink or light snack at the newly opened Porcupine Pantry cafe. 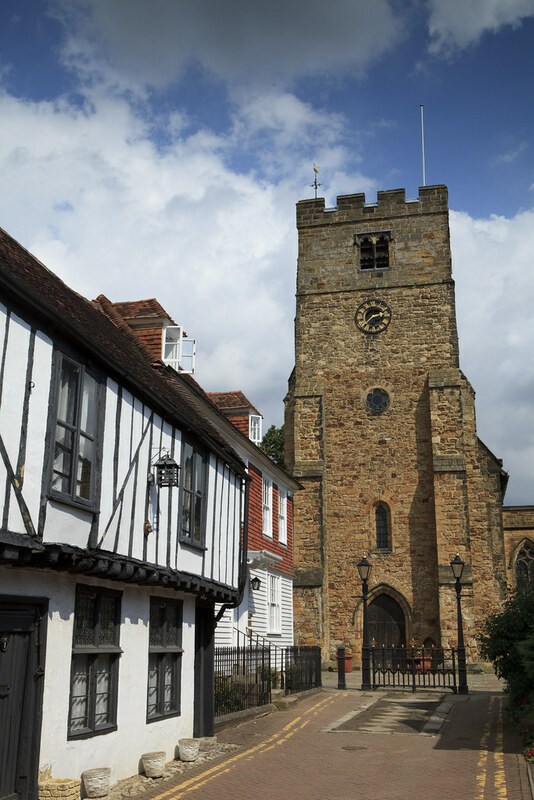 After a look around the house and gardens, refreshment will have truly been earned and a trip into Penshurst village offers a good choice of places to eat and drink. From the entrance to Tonbridge Swimming Pool car park go to the far end of the overflow car park, keeping the rugby clubhouse to your left. Follow the cycle path around the edge of the playing fields, pass under a railway bridge and turn left at the T-junction of tracks to cross the bridge over the river. Shortly turn left again and pick up cycle route signs, re-crossing the river to emerge at Barden Lake. Keeping the water to your right, turn left and follow the outer of two parallel tracks around the edge of Barden Lake. At the end of the lake turn left to go under a railway bridge then at the T-junction, with the car park to the right, turn left. At the next T-junction, at the end of the drive to Haysden Country Park, turn right. Follow this lane through the village of Lower Haysden, passing the pub. Go under the A21, turn first right then first left onto a stone track passing through lovely broadleaf woodland. 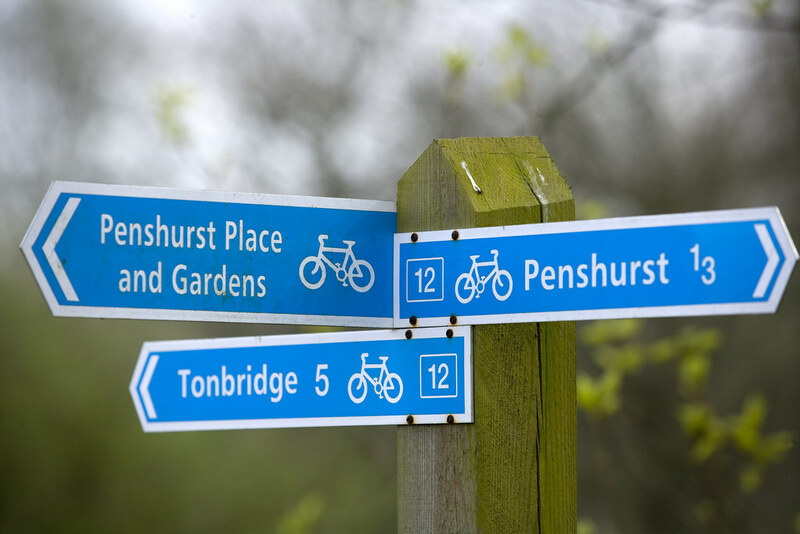 At the end of the track, at the T-junction with Ensfield Road, turn right, then 150 metres after crossing the bridge turn left at the route 12 sign and proceed onto the concrete track through the Penshurst Estate. 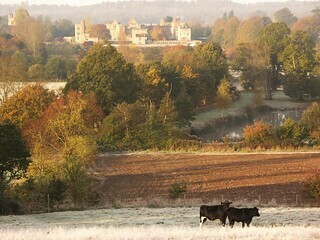 Climb on this broad track and then descend past Well Place Farm towards the magnificent buildings of Penshurst Place. 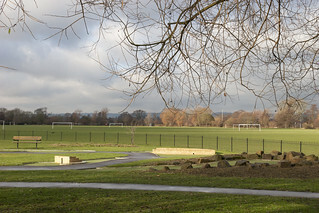 Crazy golf, skateboarding, model train rides, play areas and open spaces with many sports pitches can all be found here by the castle in Tonbridge. 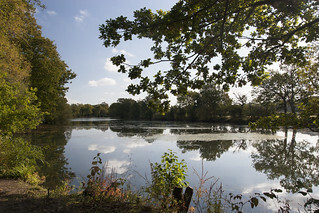 With a lake for fishing and quiet walks, another for watersports, a play area plus nature trails, Haysden Country Park makes a great day out. Follow the banks of the River Eden and the River Medway and along delightful paths and lanes, through the High Weald Area of Outstanding Natural Beauty on the 15 miles (24km) Eden Valley walk. 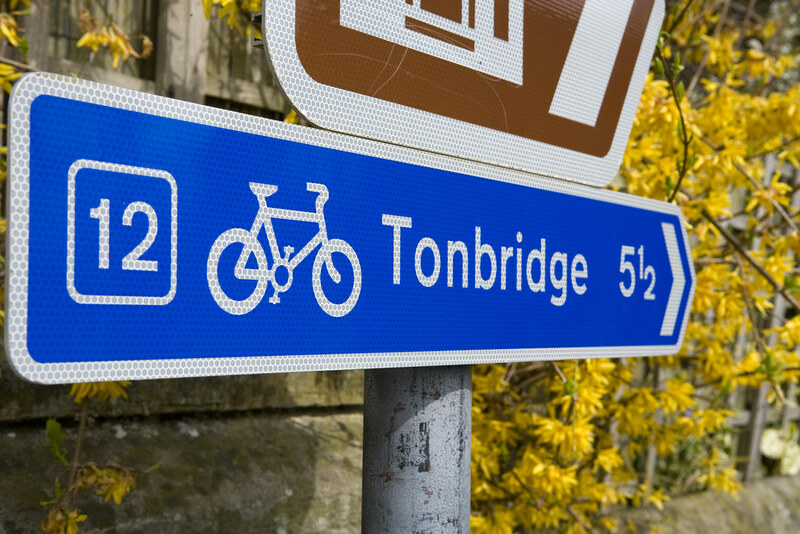 Whether you are an experienced cyclist or a novice, you will find plenty to enjoy along the 32 mile (51.4km) route on the Isle of Thanet.